In a Nutshell: Since the dawn of digitization, every electronic transaction has created a wealth of data. For years, though, many of these digital trails, or data footprints, have been unusable. Today, the advanced technology and analytics of companies like Teradata are making it possible for many of the world’s largest institutions to turn Big Data into a big resource. Teradata provides the infrastructure and analysis needed to handle the constant flow of information. Their analytics can resolve millions of footprints into comprehensive consumer profiles, allowing companies to develop highly targeted product offers, as well as more accurately predict future behaviors, including potential fraud and changes in credit risk. In the latter years of college, I took a number of courses in a particular lecture hall that had an entire wall of chalkboards. By the end of the class, both the floor around that wall, and whichever poor professor had been scrawling upon it that day, would be absolutely covered in chalk dust. While in and of itself somewhat amusing (it often looked like a small snowstorm had hit the lecture stand), the most interesting result of the entire situation was often the trail of chalky footprints that could be found all around the building. On a good day, you could trace a professor’s path from the lecture hall all the way to his or her office, simply by following their footprints. As with those chalky footprints, we each leave a trail of data footprints everywhere we go. When you pay a bill online or use your credit card to make a purchase, you are creating digital footprints — and lots of them. Multiply those 150 elements by the thousands of transactions occurring at any given time in just the U.S., and you have literally millions of pieces of data generated every hour, just in purchases. It’s estimated a total of 2.5 quintillion bytes of data are produced every day. The resultant conglomeration of nearly endless streams of data is commonly known as “Big Data.” Supported by advanced analytics from Teradata, many of the largest companies in the modern marketplace are using Big Data to determine everything from the ads you receive online and in the mail, to the spending limit of your new credit card. While the term Big Data has been a recent buzzword in mainstream media, the digital data stream has actually been around for as long as we’ve been digital. The information comes in two general forms: structured and unstructured. Unlike the simpler, structured data types, the unstructured data can contain any of hundreds of formats or file types, including everything from web search histories, photo tags, and the continuous trail of your cell phone’s GPS. For years, the sheer amount of unstructured data limited its usefulness. Eventually, as with other types of digital technology, collecting and manipulating Big Data became increasingly more affordable and significantly more advanced. As a result, unstructured data has become as vital a part of consumer analysis as its structured counterpart — if not more so. In fact, a full 90% of the top commercial banks and 75% of the major global retailers use Teradata to collect — and analyze — the information within the Big Data stream. 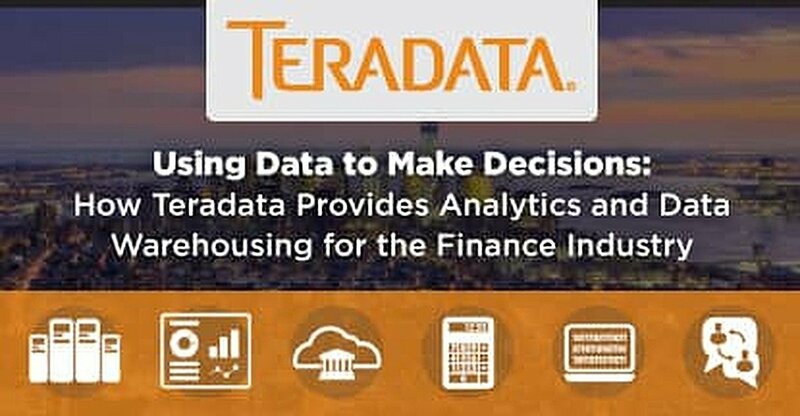 They rely on Teradata’s advanced analytics to develop in-depth consumer profiles — the likes of which influence most important decisions in consumer-focused areas like marketing, fraud prevention, and credit risk assessment. As with the proverbial snowball rolling downhill, your complete consumer profile starts with a tiny kernel of information, which is used to present you with an offer that has the least probability of refusal. “Starting with just a credit score, a Social Security number, and an address — perhaps acquired by a third-party bureau — the creditor would solicit an offer,” explained Will. He described, as an example, a credit offer for one year of free interest and a low APR for the life of the credit line (think credit card pre-approval offers). “That offer is going to be based on data that they have acquired. They’ve analyzed it, and they’ve figured out a pricing strategy and a marketing strategy to try to turn that piece of data — that prospect — into an account.” Once you’re in the door, the little informational snowball starts rolling. Then, of course, you activate your credit and begin using it — and the snowball grows exponentially. According to Will, that unstructured behavioral information is the key to accurately predicting important future behaviors, such as potential for fraud or overall credit risk. It also allows companies to target users with increasingly customized offers. The larger the snowball, the more accurate the analytics. “Maybe you’ve used that [initial offer] as a starting point, and now you have multiple products in the hands of that consumer, all adding very valuable information,” he said. He described the ideal data relationship as being multi-faceted, with behavioral data coming in from multiple sources on each consumer. It’s not just one-time events that the analytics can see, either. Will described how the analytics can determine your recent job change by finding changes in the pattern of your direct deposits. Just like chalky footprints trailing from a lecture hall, you create trails of digital footprints everywhere you go — and everywhere your money goes. While those footprints were about as useful as a chalk trail when the digital revolution began, they’re now a veritable treasure map to Teradata and their clients. While Will said the smaller companies are unlikely to have the ability to take advantage of Big Data anytime soon, the larger firms are clamoring to take the lead in the information arms race.